Sometimes, you’re lucky enough that all you need to get your car back to normal is a little PDR, or paintless dent repair. 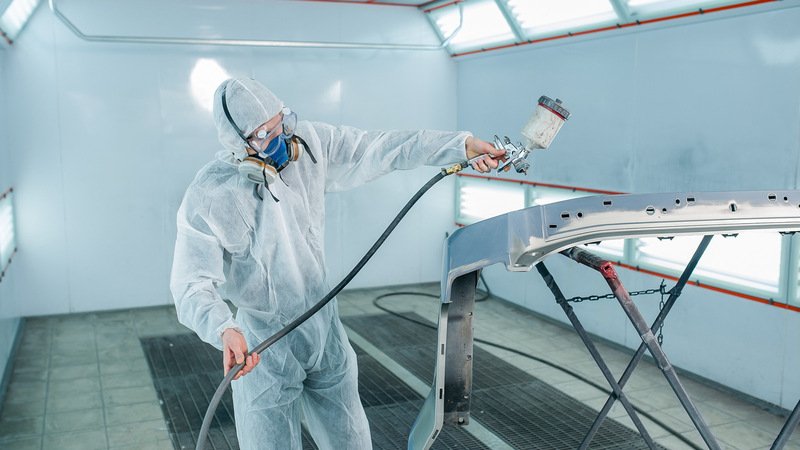 In those instances when your car is a little worse for wear, you might need to have a part painted after it’s been repaired. In the past, this process was a little bit of a crapshoot that involved looking up the VIN number for vehicle paint colors and using the eye test to judge whether everything looked right. The results were… mixed. Luckily, as with everything else, technology has simplified the process and made color matching much easier than it once was. It may sound like something straight out of Ghost Adventures but a color spectrophotometer is the most useful tool ever created when it comes to color matching. Spectrophotometers, or “color finders” as they’re also known, work by shining a specialized ray of white light to measure the wavelength of the color or colors reflected off of a vehicle. Once it has processed that information, it gives the painter a list of pigments and the quantities of each that are necessary to produce the desired color. Despite the fact that the spectrophotometer has color identification down to a science doesn’t mean painters can just load up their sprayers and go to town. There are a number of factors that go into creating the perfect coat. What type of sprayer was used? What angle was the vehicle painted at? How thick was each coat? All of these factors have a say in how the paint settles on a vehicle and how the eye perceives it. When trying to work out the kinks, the painter will use a test panel to start. This way, they can experiment with the minutia of finding the perfect match without adding a few additional layers of paint to your car in the process.